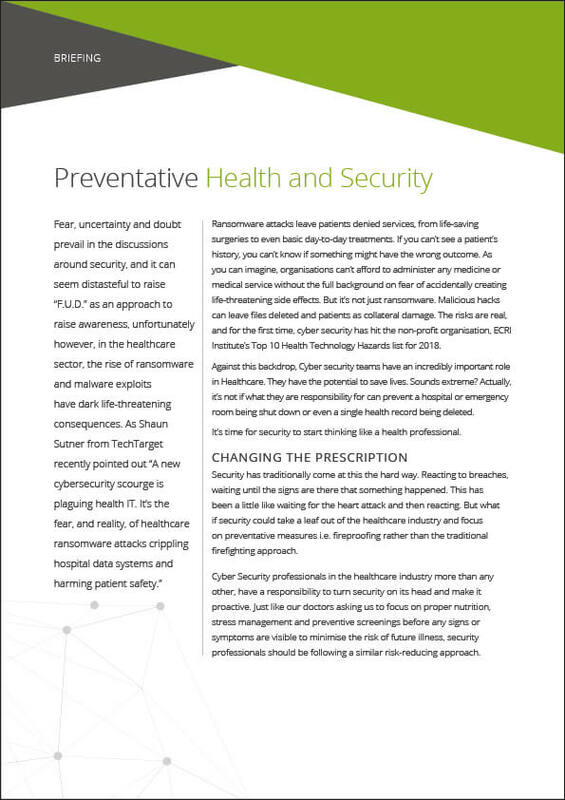 If you’re looking into taking the preventative approach to risk in the healthcare industry, these 4 steps will help you discover your greatest areas of risk and your biggest opportunities to reduce it. It all starts with a focus on the basics. Just like focusing on a healthy approach to your nutrition, or a blood pressure test to check your heart is okay to make sure you are fighting fit, it’s about getting the basics sorted. A healthy cyber security approach starts from the ground up with your cyber hygiene practices. Regardless of how many new security tools are added most major breaches (the UK NHS is case in point) result from organisations not taking care of the basics.